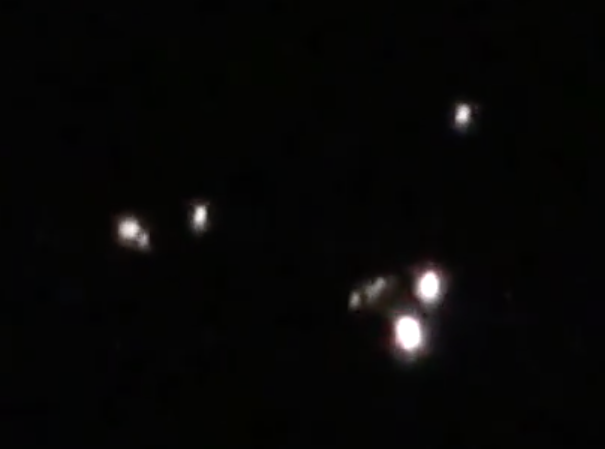 UFO SIGHTINGS DAILY: Woman Catches UFO Formation Over Corn Field In Memphis, Mississippi, Video, UFO Sighting News. Woman Catches UFO Formation Over Corn Field In Memphis, Mississippi, Video, UFO Sighting News. Date of sighting: Feb 26, 2015 but reported in Aug. The one thing in this video that is proof that this is 100% real, is a fact that has been verified in hundreds of past UFO sightings. Its the tiny drone orbs that orbit the UFOs. These are guidance and defense orbs. They protect the main ship and act like nerve endings in a finger, as an early warning system. 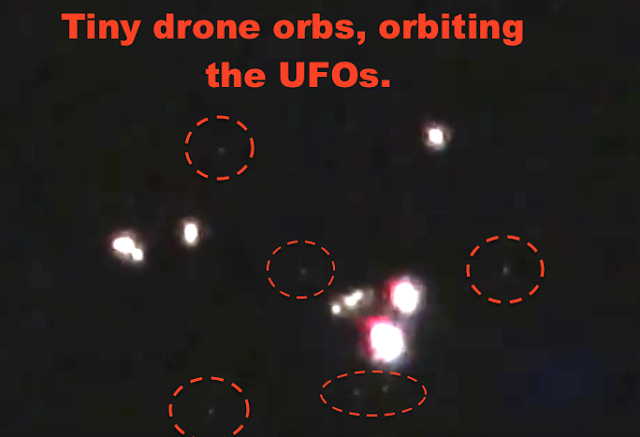 I added light and circled the orbs in the screenshot from the video. Take a screenshot anywhere and add light to it to view these tiny guidance orbs. Below screenshot has not been altered. I am a 15+ year ufologist in the Memphis Metro area, & although I have seen things I can't explain, this is the first one worthy of reporting. For this particular incident, I've been seeing bright lights in that same location for several nights in the last week, but it was after I went to bed and not compelling enough to warrant running outside. It snowed yesterday, so it made it easier to see last night, and the craft was much closer, much brighter, and very visible. I ran outside at 12:46AM CST and began filming. It was hovering very low over an area with corn fields. I observed it hovering for about 20 minutes, but it was too cold outside and I ran out straight from bed with no shoes on in the snow, therefore, I could only film for a short time. After about 20 minutes it seemed to just vanish...no flight path was observed...just hovering and pulsating lights that appeared to have a red glow at times. It appeared to be one very large triangular aircraft, and it was hovering so low that it had a 3-D effect when viewing. There were times when it appeared to have ejected smaller orb lights, but that is unclear. It was difficult to tell from my vantage point whether it was part of the larger craft, or additional smaller craft.